TommyWonk: A "Boom that Wasn't"
Political candidates like to talk about the forgotten middle. This time, there seems to be something to the rhetoric. The NYT reads kos I guess. 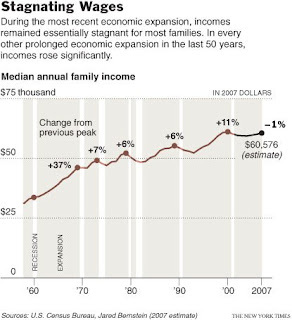 huh, we have a middle class bearing so many fronts of Bush's war on America.